What happens when you throw plastic away? Dylan D'Haeze, a 13-year-old filmmaker from the San Juan Islands decided to find out. He followed plastic trash to where it ends up - with some surprising results. Did you know you might be eating plastic for dinner tonight? And he shows how kids (and adults!) can help make a difference in a world that is increasingly dependent on plastic. 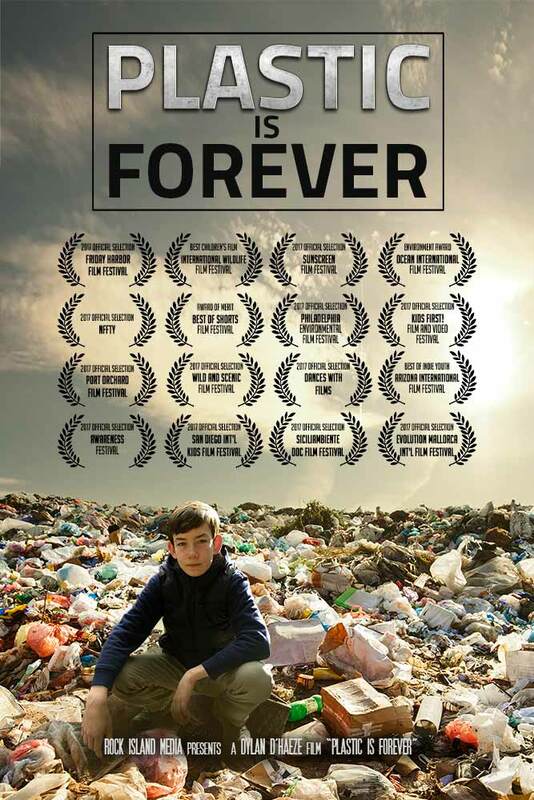 "Plastic Is Forever" has been selected to appear in film festivals all across the United States. It features some of the top minds in the field, including conversations with the Environmental Protection Agency, the Surfrider Foundation, the Whale and Dolphin Conservation, Scripps Institution of Oceanography, and more. In addition, "Plastic Is Forever" is cultivating special screenings, group discussions and panel presentations at school systems across the country. Kids can save the planet! Wonderful cinematography on a script that goes step by step through a logical progression that is complete - hard to challenge. It is simple, compelling, and accurate. Amazing work!